QAE® is proud to announce the release of our new Flexible Duct product, SUPAFLEX®. QAE® is now manufacturing a broad range of flexible ducting, suitable for both domestic and commercial building applications. SUPAFLEX® complies with Australian Standards AS4254 as tested in 2018. Test certificates are available on request. 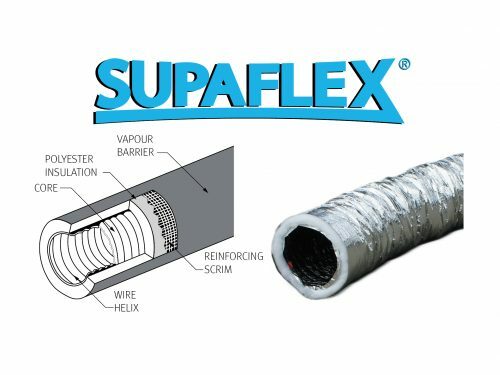 SUPAFLEX® has a reinforced outer sleeve to prevent ripping on site and is available in a range of R-values, plain and acoustic insulated flexible duct. At QAE®, manufacturing quality products for our customers is at the core of everything we do.